Situated on the Talbot Road, heading out to Maryborough, the Clunes Motel is located in the heart of Victoria’s Central Goldfields Region. Clunes offers a hidden treasure-trove for the adventurous and curious, and is an idyllic destination for midweek or weekend getaways and country driving. Clunes is blessed with history, vintage, environment and nature. 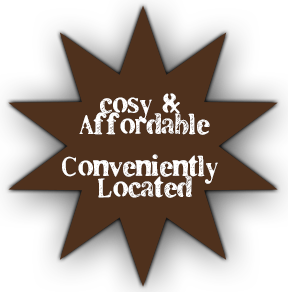 The Clunes Motel is within minutes of the Lee Medlyn Bottle Museum and set in the foothills of Mount Beckworth. Clunes a popular destination for bushwalkers, gold prospectors, treasure hunters, collectors, vintage car clubs, history buffs and families seeking an escape to a most spectacular part of Victoria's Central Goldfields Region. 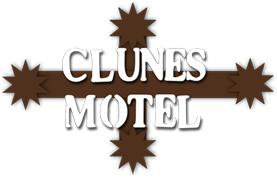 The Clunes Motel is conveniently located just 25 minutes north of Ballarat and about 90 minutes drive west of the Melbourne CBD - an easy access drive over the West Gate Bridge, then follow the Western Highway (M8). Turn off at the Creswick sign (A300).